The band is led by Grammy nominated and multi-platinum composer, Peter Cor, (keys, bass, vocals). Peter wrote the hit "Getaway" for Earth, Wind and Fire and has also composed for Lee Ritenour, Tuck and Patti, The Muppets In Outer Space, The Sixth Man, The Bernie Mac Show and Pimp My Ride. As a hard hitting performer, Peter lived in, and toured Europe, Central America and the Caribbean. You may have seen him with some of Northern California's top musical personalities like Joe Sharino and the late great Sista Monica, to name a few. The ever amazing, high energy and super-soulful Joy Bonner, sings lead (and takes no prisoners while doing so! ), as if her life depends on it! Originally from Los Angeles, CA, Joy has toured professionally, recorded, appeared in videos, performed on The Wayne Brady Show, and opened for: The Doobie Brothers, Tom Jones, Chris Isaak and Dionne Warwick. 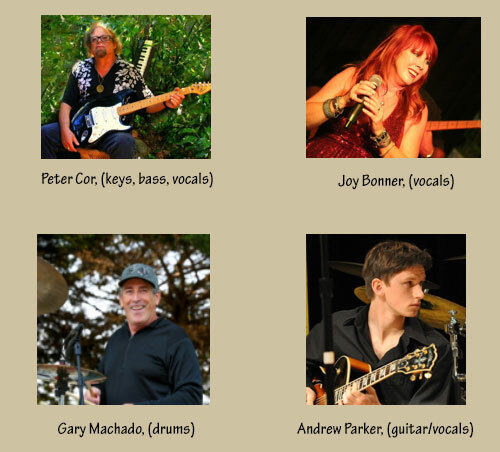 Joy has been a first call choice for Northern California high end corporate party bands like: Joe Sharino, Dennis Murphy, The IPOs, Steve Ezzo and more. Gary Machado, (drums), is from the Central Coast and has been bringing his groove for great bands such as: Minor Williams, Dennis Murphy, The IPOs, Mighty Mike Shermer, The Joint Chiefs, Lisa Taylor and many more! He is known for his “pocket” and versatility. Andrew Parker, (guitar/vocals), is the youngest member of the band but plays like a much older version of the seasoned pro that he is. By the time he was 17, he had toured Japan twice with the Monterey Jazz Festival’s student honor band! Speaking of honor bands, Andrew performed on the main stage of the Monterey Bay Blues Festival for four years (while in high school), as a member of their student honor band! He traded solos with the great Kenny Neal on the main stage one year, proving his ability to keep up with the best! He is incredibly versatile and his refined chops have taken him to the stage with the likes of Dennis Murphy, Wildcard and many other “in demand” local bands. 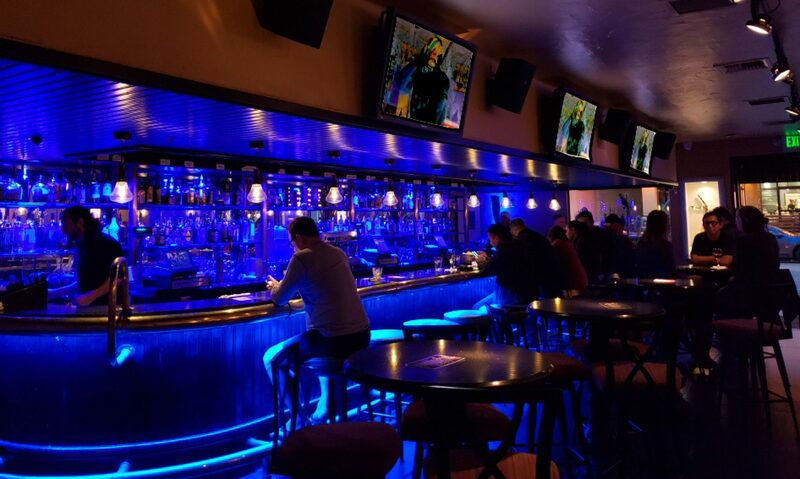 If you want to dance and party, (while feeling like you are the reason the band is there), then come out and experience Sonic Blue!